Driving north-east towards Granada through breathtaking landscapes we stop in Guadix to visit Quesos De Leyva. 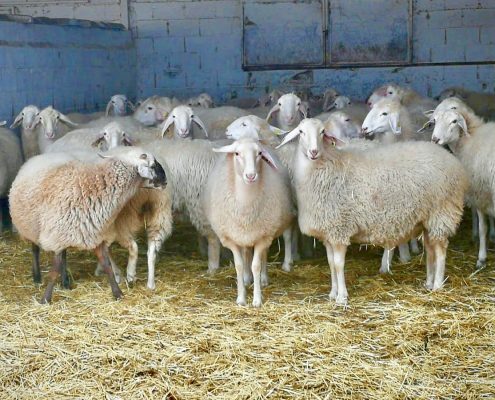 Our host was Ignacio Miranda Leyva and his 200 strong flock of Assaf sheep at this beautiful cheese farm called Finca El Castañuelo. 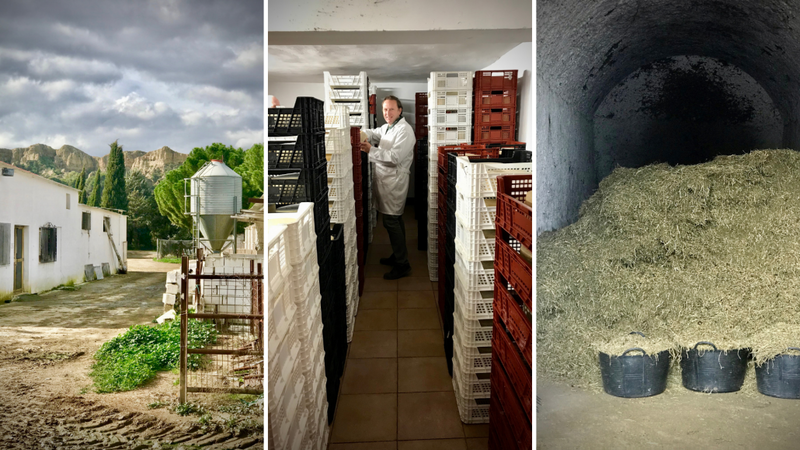 Quesos De Leyva is dedicated to artisan production using traditional methods and produces approximately 10,000 kilos of cheese each year. 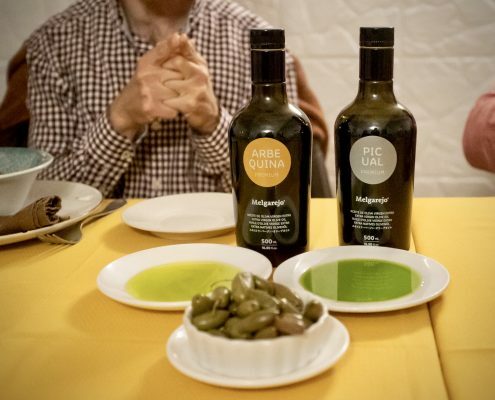 Ignacio’s grandmother began the production out of necessity following the Spanish civil war but the business didn’t endure. 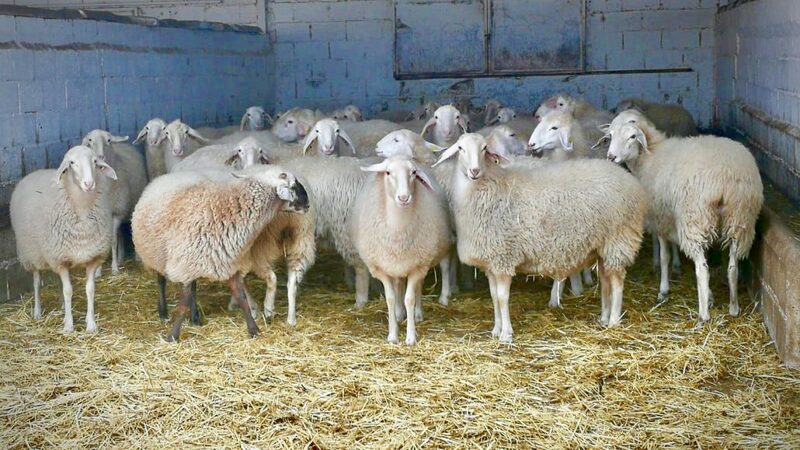 It wasn’t until the early 1990’s when Ignacio’s late father found the old cheese making tools of his mother that he decided to investigate further by asking old shepherds. Inspired by the history, he then took the decision to become a master cheese maker. 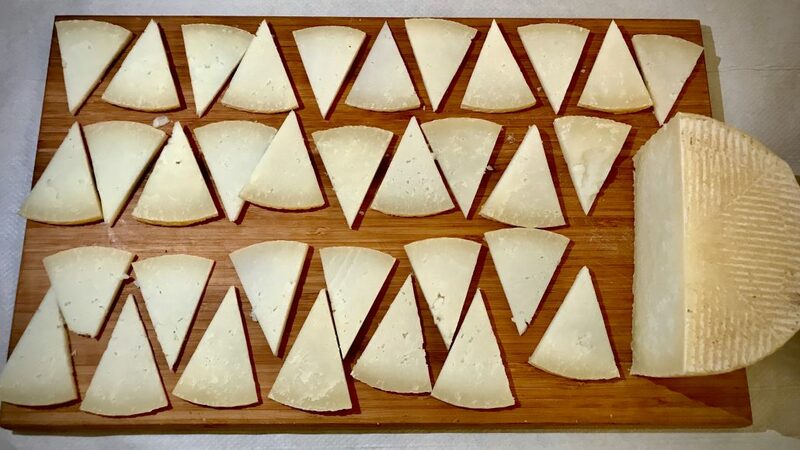 At the age of 60, he went to a specialized cheese academy 1000 miles away in the north of Spain following which, in 1996, Quesos De Leyva began production. 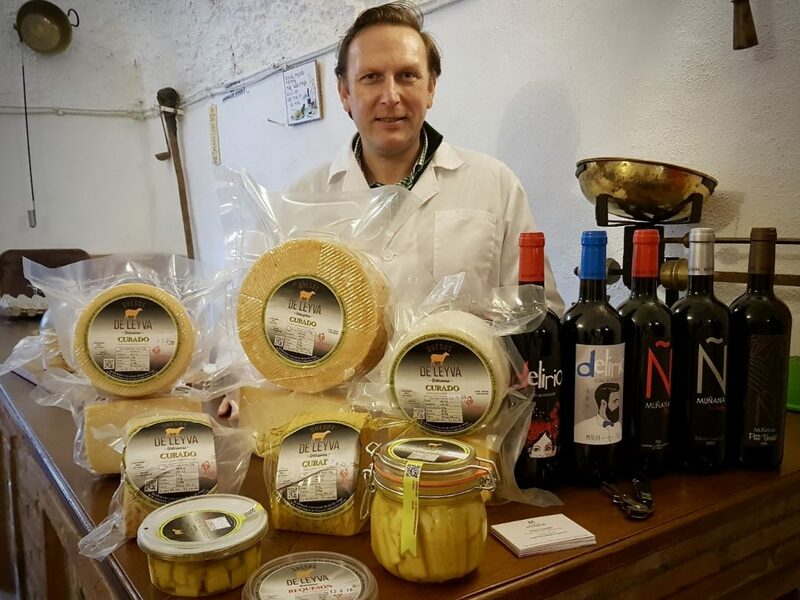 They produce a variety of sheep’s cheeses, including ‘curado’ which is 6 months aged, ‘semi-curado’ aged for 3 months and, a surprise favourite of mine, a curado cheese preserved in olive oil. This is the first time I’ve tried this and it won’t be the last. A large jar and a few tubs of this made their way into my shopping bag. Storing the cheese in oil acts to preserve it so refrigeration isn’t necessary, it also adds a unique flavour. Finca El Castañuelo. Ignacio in his cheese cellar. The animal feed. Driving through DO Granada, for high altitude wines and lunch in a cave… yes really! DO Granada, a beautiful drive through vine-filled valleys, snow-capped Sierra Nevada. 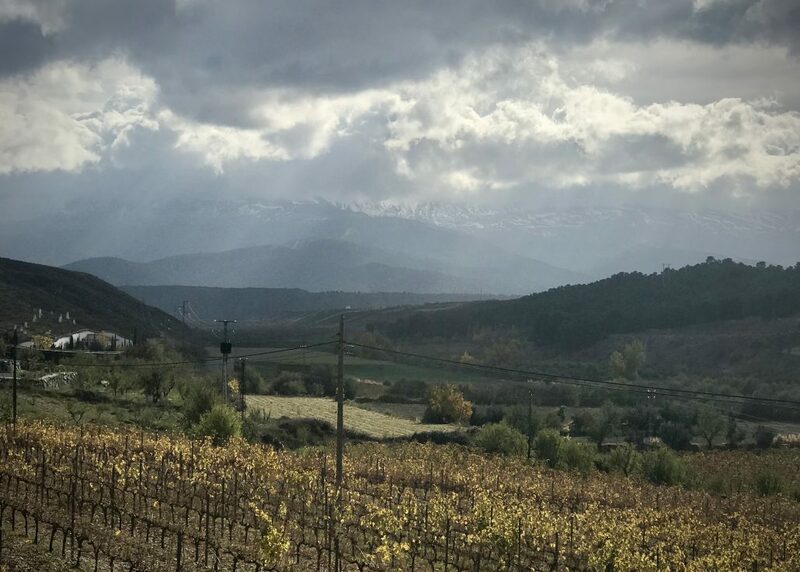 The drive to our next stop was again staggeringly beautiful, through the sunny vine filled valley, under the watchful eye of a snow-capped Sierra Nevada. It reminded me so much of being in the Mendoza wine valley in Argentina. 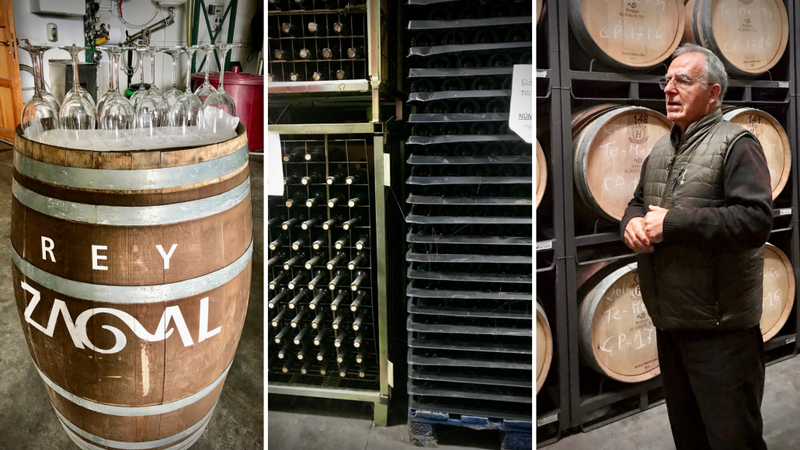 Our journey was to visit Al-Zagal Bodega & Winery in DO Granada, again high altitude wines, a modern nondescript facility in the middle of beautiful countryside. We met with Pepe Olea Varon, the president of the winery who along with a group of friends began to produce wine in the year 2000 for personal consumption. He talked us through the process and then we tasted the recently harvested Syrah & Merlot straight out of the tank, paired with some very fine Jamon. Even at this stage, these young wines were lush. 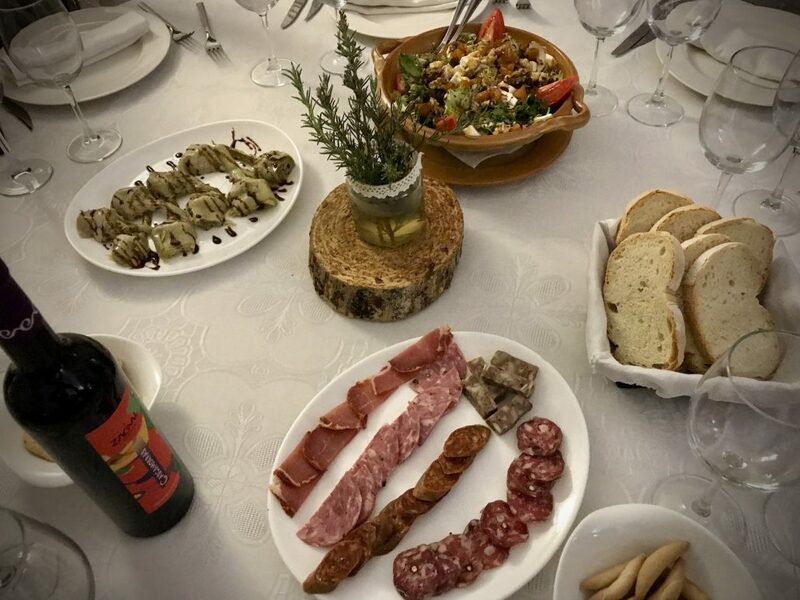 The food is best described as rustic; lots of embutidos (cured meats) to start, followed by a mixed salad of lettuce, tomatoes and lots of chopped dried fruits, walnuts and raisins – a nod to Al- Andaluz. Habas con Jamon (broad beans with ham) with fried eggs on top (yuck – runny eggs are not my favourite thing), seasonal mushrooms ‘niscalos’ and preserved artichokes. The main event was lamb chops cooked on the open grill, served with a patatas pobres. 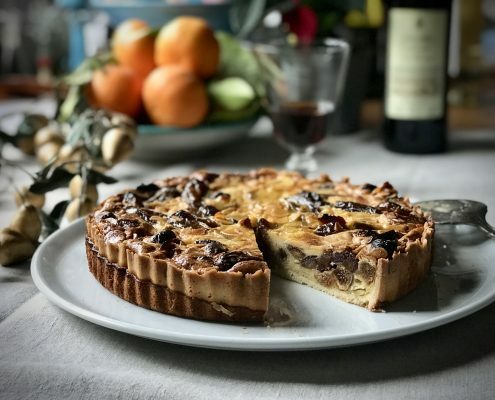 An ice cream of figs ended this spectacular feast. Each stage of lunch was served with one of the 6 totally fabulous wines Pepe had brought with him. 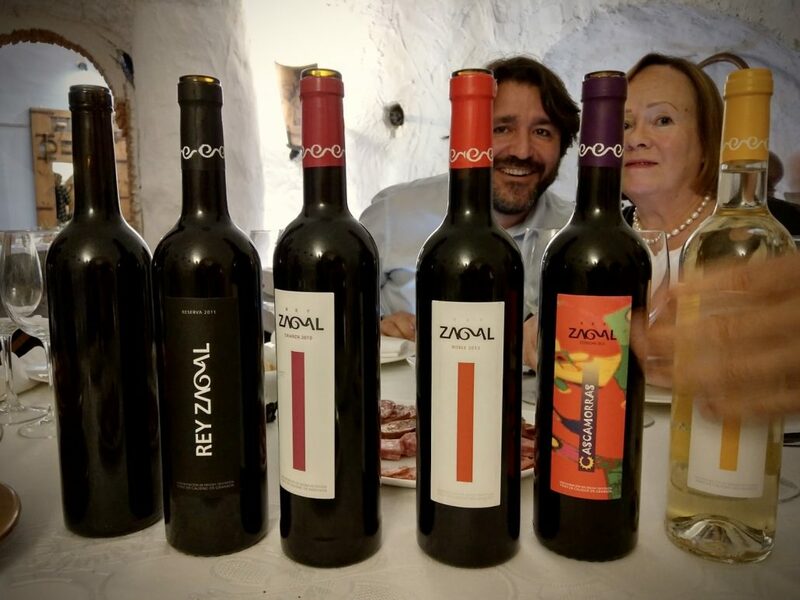 Look out for Al-Zagal wines – they are really spectacular. Lunch at Meson Tio Tobas. Look out for Al Zagal wines! Dinner at La Cuchara de Carmela in Granada city was quite an event and served with delightful wines, especially the Muñana, which we hadn’t had time to fully enjoy in the morning. 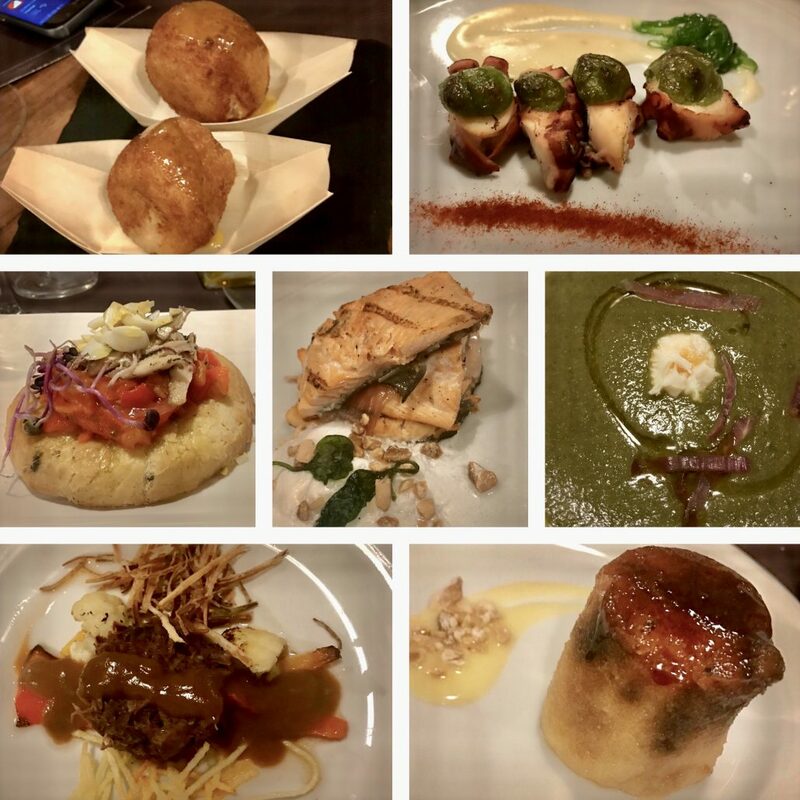 Amongst the many delicious things we ate were croquetas of cauliflower and white chocolate (crazy but yummy), trout from Rio Frio, octopus with a cold puree of potatoes and Rabo de Toro (oxtail) with which we Sherry lovers craved an Oloroso. You can take a girl out of Jerez ……………..